Mystery man and I have an open relationship. Since he is not in New York a lot, I am allowed to date. I got a call from Jason. He just got back from London. He said that he wanted to see me. Mystery man and Jason are from different groups. Jason knows of Mystery man, but my man does not know the other. After my dinner with my sister and my mother at Nobu next door, I had to rush to Jason's apartment in Soho. 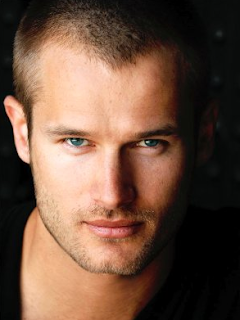 MODEL JOHANN URB- JASON LOOKS LIKE HIM. STYLISH WOMEN OF NEW YORK!!! Most of these girls are my social acquaintances and good friends. They have mastered the art of dressing up. Each girl has their individual style and makes them different from the rest. Having style is in born. It's either you have it or you don't. A person's style should be effortless. They serve as the trendsetters in New York's high fashion society. If you know these girls, you will understand why. Most women envy these ladies. Why? They are beautiful from the outside and also from within. Do you guys remember? I do not like rain. Why? It just ruins the outfit, especially my hair... so not tsunami style anymore. Anyway, my sister and I had to meet with the owners of MMK lingerie. I have known one of the owners, since I first started in the magazine industry. 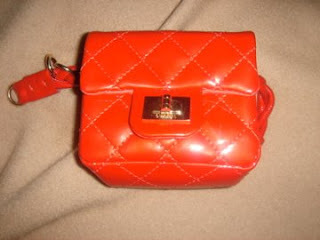 Kimberly Howard worked for Chanel since 2004 in the PR department. We became good friends... very COCO AVANT CHANEL. I told her and her partners that my sister has a store in Manila. I have been April's adviser when it comes to product research. We had an amazing time at the Standard Grill. It is the new restaurant at the Standard Hotel. There were so many handsome men, but I had to focus. Our server, Michael, is the best. He is the nicest. Why? He gave me and my sister a free bottle of red wine... alcoholics to the maximum level. Hahahahahaha. Finally, my shoes came in today. 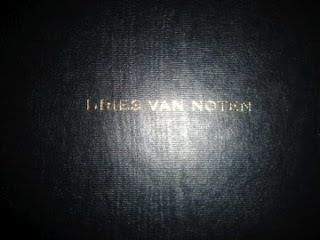 To my surprise, it's the exact Dries Van Noten shoes he gave me for my birthday. I guess he likes it when I wear lace up shoes... of the same style. 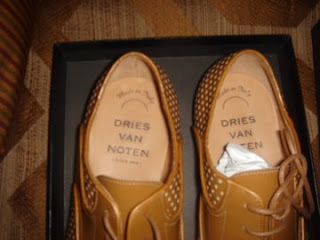 Here's the scoop, the two Dries Van Noten shoes he gave me look the same. The only difference is the new shoes has perforation on it. You know what? I do not care. As long as he thinks of me, I am happy about it. I am very lucky that I have mystery man. He knows my taste. Guys! I do not tell him what I want. He does his own research. The only thing missing in the package... his note. It's the thought that counts... very expensive way of thinking. You know what I forgot to cover? Watches. The first watch I got was from my mother. She gave me my first Tag Heuer scuba watch for graduation in grade school. After that, I started collecting watches. My collection is not that big. Vacheron Constantin and Patek Philippe will be my watches when I reach the age of 50. 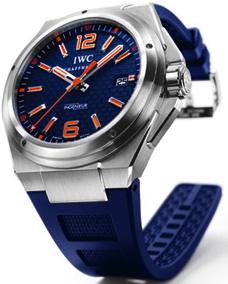 Right now, I am obsessing IWC. 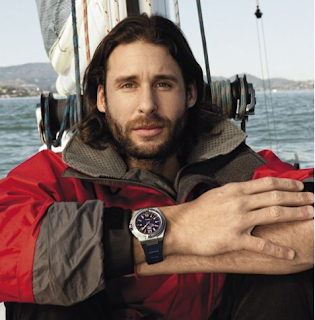 The watch company that teamed up with famed adventurer/ecologist/friend David de Rothschild for his PLASTIKI voyage. The watch is a special edition of the Ingenieur edition for Adventure Ecology. In my mind, I must have this watch. For once in my life, it will make me feel like an adventurer. I know I will get it. SOON!!! I wish all the best to David and his team. I will see you soon my dear friend. Bon Voyage!!! As I was typing my previous blog, I got a text message from my friend Charles. He told me that he is having a great time in Africa. He also flew a plane. What can I say? 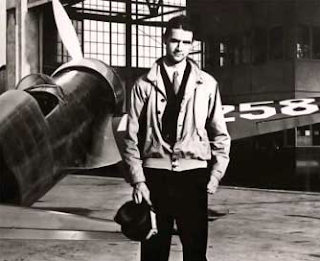 He can be the 6'6 man flying a plane like Howard Hughes. In his previous text message, his driver showed him Nelson Mandela's house. 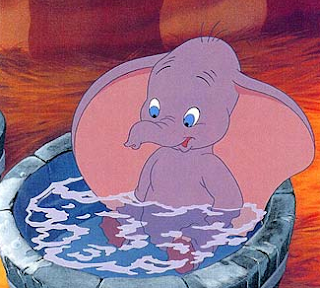 He was also excited to ride Dumbo (Elephant). He feels like he is a kid again. What I told him? Have fun and be safe. Right now, I am still waiting for my shoes. Hahahahhahaha. I think the UPS guy is holding it hostage. ADD THESE NAMES TO YOUR LIST!!! So many designers have been penetrating the fashion industry. 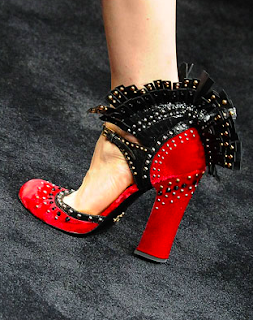 These shoes designers made it big. 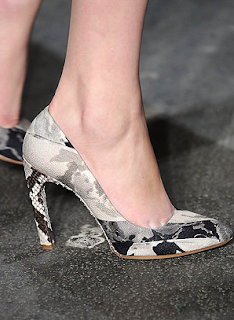 Add these household names to your shoe collection. It will make your feet happy. I am back on track. I have been talking about my New York experiences for the past few days. 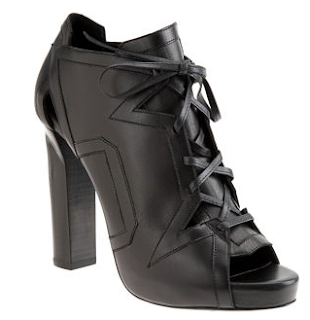 Let's talk about SHOES! 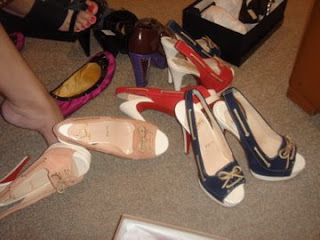 MORE SHOES! I WANT WOMEN TO WEAR THEM! These are some of my favorite shoes for Fall. Shoes that don't scream BIG LOGO. How to wear these shoes with the right clothes? MY PERSONAL FAVORITES OF THE SEASON!!! Yesterday, I had so many errands to attend to. One of my obligations is to pick-up my sister from the airport. I know she can always take a cab to my apartment, but I just love picking her up. I am very close to my siblings. We can talk all day... Dying of laughter. Anyway, we walked around the city to check out the latest body shapers in the market. Then, I told my sister that we should check the shoe sale at Barneys New York. She was not suppose to buy anything. Donovan, my shoe guy, is my favorite person in the shoe department. He is amazing. I told him that I would like to see Dries Van Noten. Of course, Dries is my favorite designer next to Balenciaga. 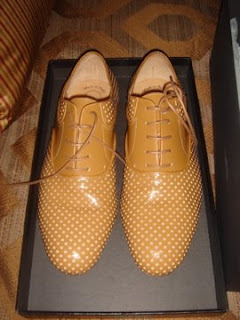 My sister set aside the Louboutins and focused her attention to the Dries shoes that Donovan brought out. Amazing. As what Carrie Bradshaw said to her Vogue editor, "Men I may not know, but shoes I know." I just want to share it with you. SHOE GUY EXTRAORDINAIRE: DONOVAN/OSCAR ON THE 4TH FLOOR OF BARNEYS NY. When I was in Washington D.C., I was not able to see my good friend Charles Rockefeller. I have been friends with him for more than 4 years. We stayed in touch. Why? I consider him as one of my closest friends. He is a good man. He is taking up his master's degree at Georgetown University. 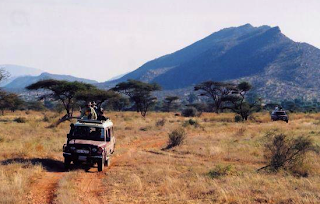 For summer, he is in Africa doing humanitarian work. I am so proud of him. I have been convincing him to come to Manila and see the beauty of my country. He will always be my good friend... next to mystery man's heart. You know what I mean? I am speaking the truth and I am not dreaming. DUH! 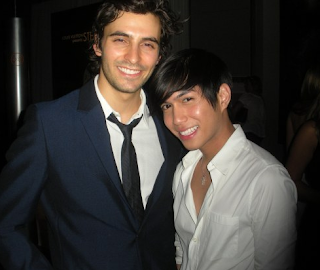 I would like to thank my good friend Anton San Diego of Asian Tatler. If it weren't for him, it won't be possible for a successful meeting today for my friend Vicky Kagia. My good friend Vicky Kagia will be Greece's host for the Greek version of America's Next Top Model. We had a meeting with famed photographer Nigel Barker. Besides his good looks and amazing aura, my friend garnered good pointers from him. I won't go into details what had happened today. I will leave you with a good imagination. To tell you the truth, Vicky got some good feedbacks from him. Once again, I would like to thank Ali, Nigel, and Anton for making this meeting possible. Till next time. I am out of here. 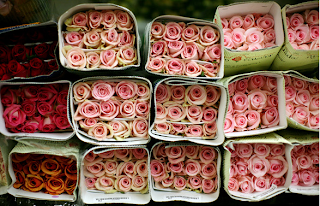 I had to wake up early this morning to accompany my mother to the flower district. To my surprise, the flowers are cheap. I am not a morning person. Getting ready is a production. I have to make sure that my clothes are ready. Taking a shower is not a problem for me, but doing all my ayurvedic regimen takes time. I have so many errands to do. 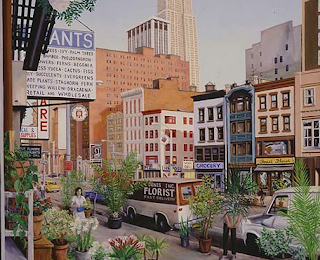 New York has a special place in my heart. I am loving every moment of it. I just got news that my sister will be here in New York for a week. I am so thrilled and excited that she will be in town. Even though she will be here for a short time, I always make sure that we spend time together. Well! Both of my sisters are fun to be with. A little bit of alcohol and we are on the roll. Hahahahaha!!! Of course, she will be here for work. Well! Who said that you can't mix business with pleasure? Yesterday, Teresa and I visited my friend Tim Garcia at his Trump Park Avenue apartment. I have known Tim since he was working for Yves Saint Laurent. In the beginning, we were not friends. In the end, he became one of my closest friends... Queenie arguments. Hahahaha!!! Recently, Tim had a controversial article on the New York Post, Page Six section. WOW! What an honor? I won't discuss it on my blog... just read it. At first, I was worried. I told him that good or bad publicity is still publicity. I had to uplift his spirits as a true friend. He is a true fashionista. Even if he is on a curfew, he still incorporates the best trend in gadget history... having a home for his little anklet machine... a mini chanel 2.55 bag. How cool is that? He is in the same lineage like Lindsay Lohan and Eve. I know this guy very well. He is a good friend... pure at heart. 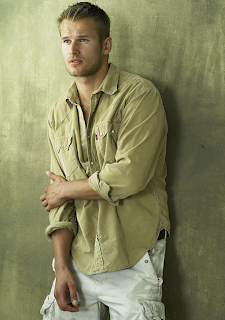 He is well loved by our peers in the fashion industry. Everyone wants to be on page six, he just came first!!! PERFECT COUPLE!!! JUST FRIENDS- TIM GARCIA WEARING? HIMSELF? REEDER'S PROPHECY VIII- THE NIGHT IS YOUNG!!! A BREATHE OF FRESH AIR!!! A BAG NAMED AFTER ME!!! LOGOS OR CLASSIC LINES? WHAT DO YOU THINK? REEDER'S PROPHECY VII- TICK! TOCK! REEDER'S PROPHECY IV- WHAT'S IN THE GARBAGE? JOHN DID IT AGAIN!!! HAUTE COUTURE STYLE!!! VICTORIA HAS A SECRET- SSSHHHH!